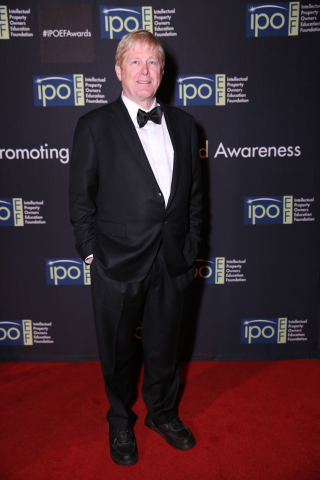 Genius behind the Autonomous Vehicle revolution celebrated at Foundation Awards Dinner in Washington, D.C.
David Hall - Genius behind the Autonomous Vehicle revolution celebrated at IPO Education Foundation Awards. 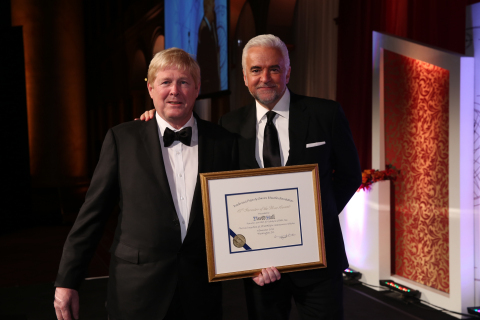 WASHINGTON--(BUSINESS WIRE)--The Intellectual Property Owners Education Foundation honored David Hall, chief executive officer and founder of Velodyne Lidar, Inc., as the 2018 Inventor of the Year at the Foundation’s awards dinner held at the National Building Museum in Washington, D.C. last night. Hall was recognized for creating the groundbreaking lidar sensor technology that is the essential component for fully autonomous vehicles and enables the most sophisticated advanced driver assistance systems (ADAS). 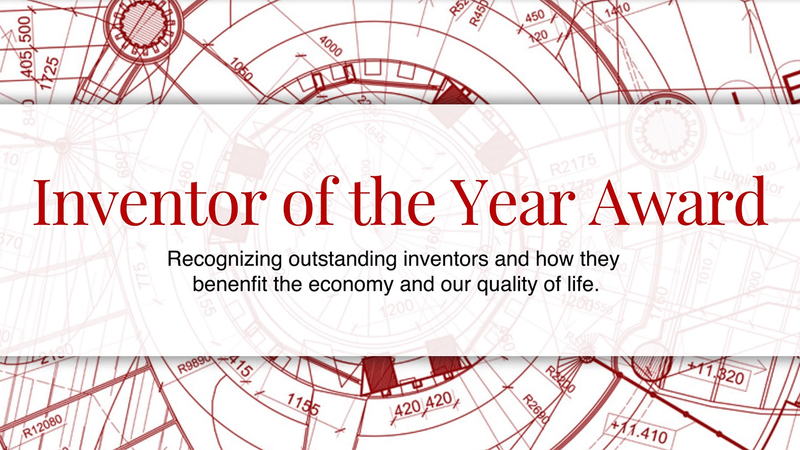 Each year, the Foundation recognizes outstanding inventors for their contributions to the economy and overall quality of life. The idea of leveraging lidar technology for autonomous driving came to Hall after competing as one of the original entrants in the DARPA Grand Challenge. In 2005, he invented lidar to give autonomous vehicles real-time, 360-degree vision that then set the stage for revolutionizing the automobile industry. Velodyne Lidar is the industry leader, supplying virtually all of the top automakers and autonomous vehicle developers globally with the smartest, most powerful lidar sensors. In addition to their wide application in self-driving cars, Velodyne’s versatile lidar sensors are now utilized in myriad trailblazing applications, including unmanned aerial vehicles, mapping, industrial safety, security, and more. Hall is a technology visionary whose more than 30 U.S. patents cover a variety of applications. He founded Velodyne Acoustics in 1983 as an audio company specializing in low-frequency sound and subwoofer technology. In 2011, he launched Velodyne Marine and debuted its first self-stabilizing craft, the Martini, at the 2013 Miami boat show. This prototype was the world's first sea-faring vessel with an active suspension. More recently, at the US Chamber of Commerce’s inaugural LAUNCH event, Hall presented his vision of a magnet-based propulsion system that would revolutionize space exploration and settlement. MEDIA PLEASE NOTE: To learn more about IPO and the Inventor of the Year Award, please contact Nyree Berry at IPO (202) 507-4514; nberry@ipo.org. To schedule an interview with David Hall or to request images, please contact Robin Carr at Landis Communications Inc. (415) 561-0888; velodyne@landispr.com. Intellectual Property Owners Association (IPO), established in 1972, is a 501(c)6 trade association for owners of patents, trademarks, copyrights and trade secrets. IPO serves all intellectual property owners in all industries and all fields of technology. IPO advocates for effective and affordable IP ownership rights and provides a wide array of services to members, including: supporting member interests relating to legislative and international issues; analyzing current IP issues; information and educational services and disseminating information to the public on the importance of intellectual property rights. IPO has a related 501(c)3 foundation, the IPO Education Foundation. The IPO Education Foundation is devoted to educational and charitable activities designed to promote the value of intellectual property rights. IPO and the IPO Education Foundation share the same office location and IPO staff also support the Foundation. Velodyne provides the smartest, most powerful lidar solutions for autonomy and driver assistance. Founded in 1983 and headquartered in San Jose, Calif., Velodyne is known worldwide for its portfolio of breakthrough lidar sensor technologies. In 2005, Velodyne’s Founder and CEO, David Hall, invented real-time surround view lidar systems, revolutionizing perception and autonomy in a variety of industries including automotive, new mobility, mapping, robotics, and security. Velodyne’s established high-performance product line includes the cost-effective VLP-16 Puck™, the versatile VLP-32 Ultra-Puck™, the perfect for L4-L5 autonomy VLS-128™, and the directional view Velarray™. For more information, please visit www.velodynelidar.com. 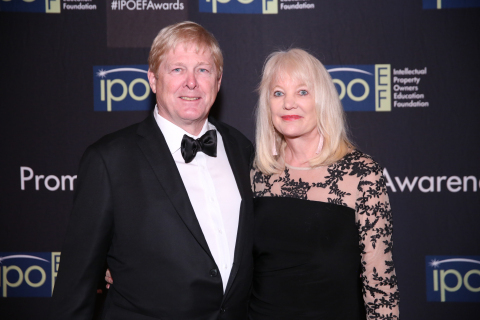 The IPO Education Foundation honored David Hall, chief executive officer and founder of Velodyne Lidar, Inc., as the 2018 Inventor of the Year.